You can now safely and securely view your invoices, add and update your debit / credit card information and make payments on-line at SmarterBroadband's new Customer Portal. If you normally call in to authorize payment with a card we hold on file, you can now simply sign into the Portal and pay at a time convenient to you day or night before the payment due date. If you normally pay us by check, please consider changing to online payment via the Portal: using your checking account debit card is effectively the same as mailing us a check, but much more secure. When accessing the Portal for the first time, you will need to use your email address (the one we use to contact you) and create a secure password. Don't hesitate to call us if you have any questions or would like assistance in setting up your access to the Portal. 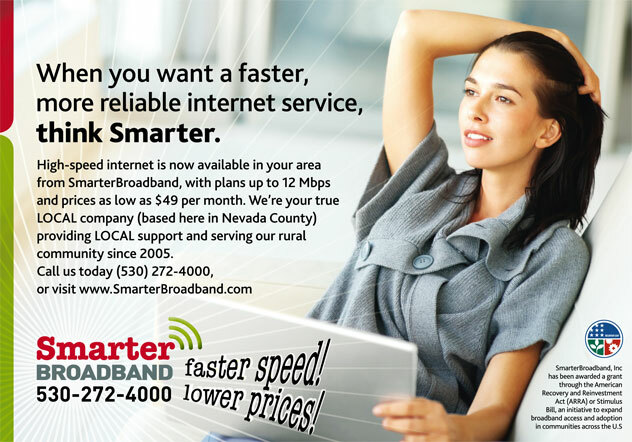 SmarterBroadband provides both Residential and Business FAST high speed Internet. 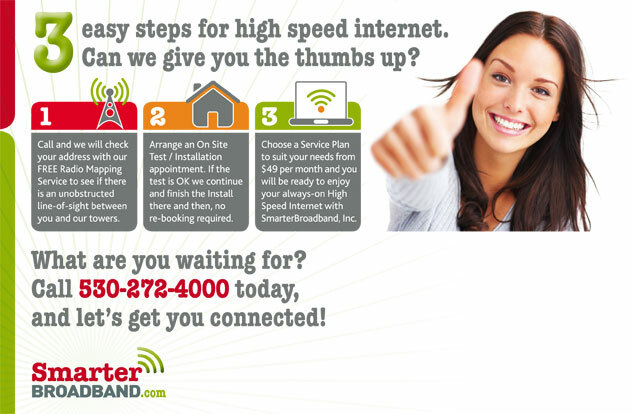 If you are currently getting SLOW service from DSL, Satellite or even another wireless provider, give us a call. Want to know if you can get service? Complete the on-line Service Request form. Check out our Referral Program - spread the good news! Introduce a neighbor or friend who signs up and we will send you a check for $25!